Corsets at this time, still the Belle Epoque era at the turn of the twentieth century, featured the S-curve. In other words, the corsets were a rigidly constructed undergarment that imposed a wasp-waisted silhouette manipulating the posture to a swayed lower back that enhanced the pouter pigeon monobosom so desirous at that time. This era was the last gasp of the Victorian age, a time which ladies retired to fainting couches if anything excited them to the point of needing to draw a substantial breath. Such style standards would continue through the first decade or two of the twentieth century. 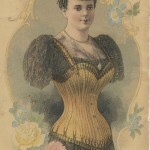 Worcester Corset Co., Worcester, MA. 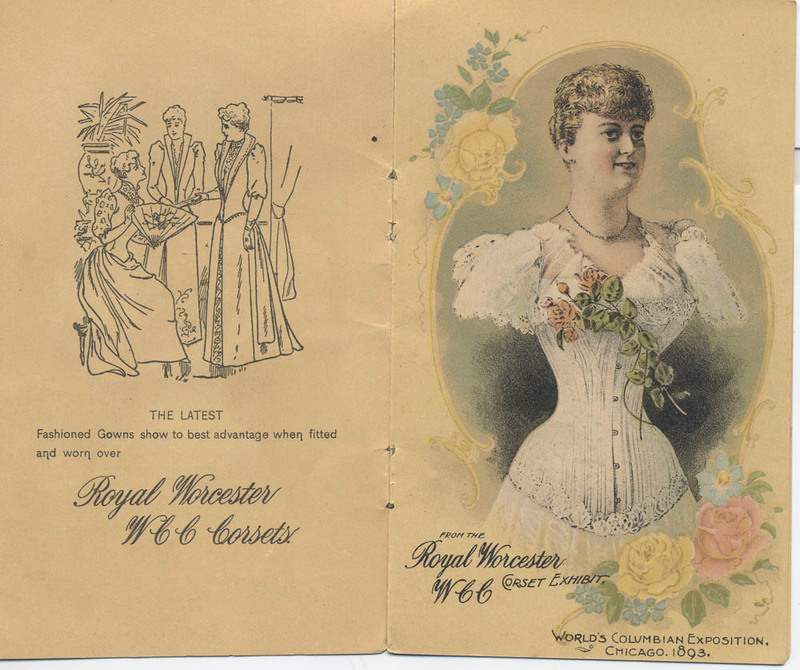 Royal Worcester WCC Corsets, 1893, corsets. 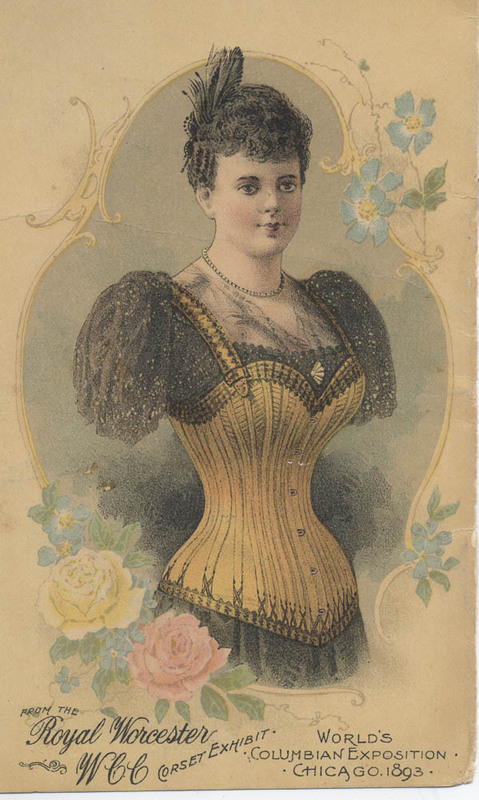 This Worcester Corset Co. pamphlet for the 1893 World’s Columbian Exposition in Chicago is located in the Trade Literature Collection at the National Museum of American History Library. Take a look at Galaxy of Images to see more images from this pamphlet. I am also wearing corsets but not like this photo. It’s look hearts. wearing high heels and corsets was all the Victorian woman used to wear back in the 18th century.